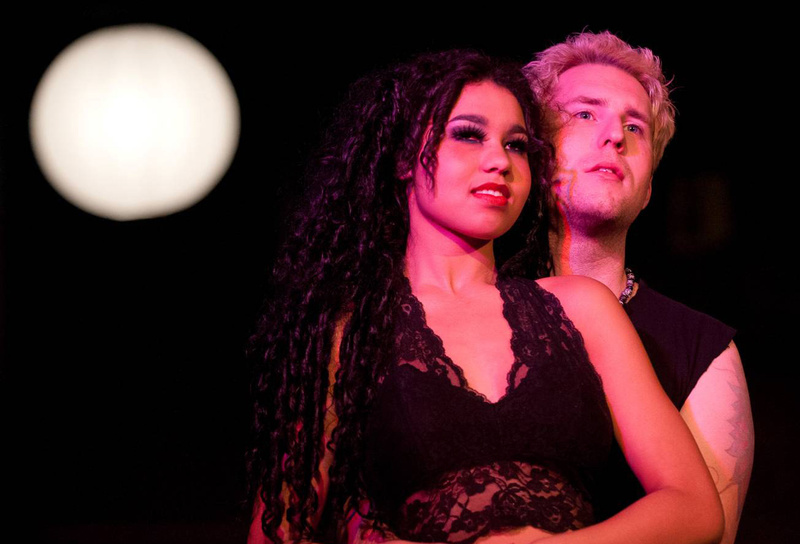 Modern Theater stages an in-concert production of “Rent” today and Saturday at the Bing. In 1996, Jonathan Larson died the morning of the first preview of his landmark musical “Rent,” and he never got to see it become one of the longest-running shows in Broadway history. Theatrical lore maintains that, during the long silence that followed the show’s debut performance, someone shouted, “Thank you, Jonathan Larson,” from the darkness of the theater. It was a simple sentiment, but it seemed to neatly encapsulate the feelings “Rent” has inspired since it premiered. This weekend, the Modern Theater honors Larson’s legacy with a concert that showcases the music of “Rent.” Directed by Troy Nickerson, the show should demonstrate exactly why Larson’s music retains the immediacy and poignancy so many years later. Loosely following the structure of “La Bohème,” Giacomo Puccini’s opera about young peasants in 19th-century Paris, “Rent” tells the story of a group of 20-something New Yorkers grappling with poverty, drugs, death and sexual identity. Larson chronicles their struggle to live as starving artists in the city, and the loose plot centers on the relationship between Roger, an HIV-positive songwriter, and Mimi, an exotic dancer living with AIDS. Larson’s cast of characters is made up of misfits and outcasts, many of them based on his own friends, creative and passionate people who don’t conform to society’s suffocating constructs. They all live in the same rundown tenement building, where their electricity is always being shut off because they can’t afford to pay the bills, and their former friend Benny, who once lived with them but now serves as their landlord, is demanding that they settle their collective debts. Although it follows a rigorously formal story structure, “Rent” captures a specific time and place – New York City in the mid-’90s – as well as the fears and anxieties of the era. The looming specter of AIDS is important to the impact of the piece, as Angel, a cross-dressing street drummer, serves as the group’s main source of optimism even as HIV slowly ravages his body. Heralded as ahead of its time for its frank depiction of gay culture and the impact of AIDS on society, “Rent” went on to win the Tony Award for Best Musical and the Pulitzer Prize for Drama. It made stars out of its original cast, which included Idina Menzel and Taye Diggs, and was later adapted into a feature film in 2005, while Larson’s score became one of the most recognized in the modern dramatic canon. Cultural attitudes have changed dramatically since “Rent” premiered – the issues it tackles aren’t nearly as taboo as they were in ’96 – but the show remains a vital, important document of discrimination and injustice. It’s surprisingly life-affirming, too, putting human faces to subjects that popular entertainment so frequently trivializes, and because of that, Larson deserves all the thanks he gets.